Now it's not often I post about my live-in-geek, indeed he normally remains a shadowy figure in the background of my blog getting the odd mention when it's relevant to the tale of my jewellery adventures. 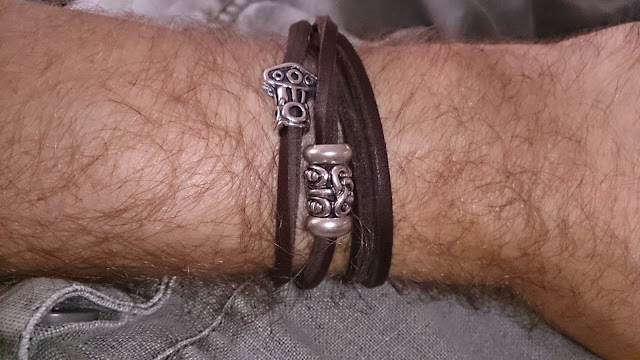 However he gets his very own post today as during the mad July sales I bought him a brown leather trollbeads bracelet on the spur of the moment. I had no idea of his size, but like me he has small wrists so I took a punt on the 34cm one. He was presented with this in a "if you don't like it it's not a problem, but if you want it - it's yours" I had ordered a plain lock to go with it but like many sales, there were a few issues with cancelled orders, so I lent him a lock from my collection so he could at least wear it, he chose a Freya Knot Lock. After a while he decided that he quite liked the look of just the Midgard Serpent between the 2 stoppers as he already wears 3 single strand bracelets. 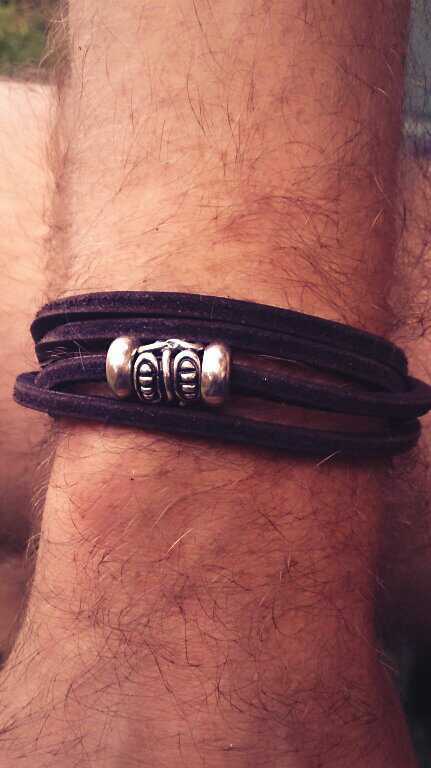 I have got to say I love this bracelet and not just because it's attached to my live-in-geek.